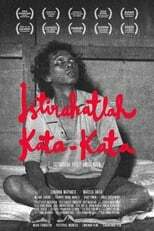 List of the latest Indonesian/Bahasa movies in 2019 and the best Indonesian/Bahasa movies of 2018 & the 2010's. Top Indonesian/Bahasa movies to watch on Netflix, Hulu, Amazon Prime & other Streaming services, out on DVD/Blu-ray or in cinema's right now. 2018, 2017 and the 2010's best rated Indonesian/Bahasa movies out on DVD, Bluray or streaming on VOD (Netflix, Amazon Prime, Hulu & More). For a country with over a 250 million residents, Indonesia’s movie industry is relatively unknown for many of us in America and Europe. So read on to find out which movies from the archipelago you definitely shouldn’t miss!